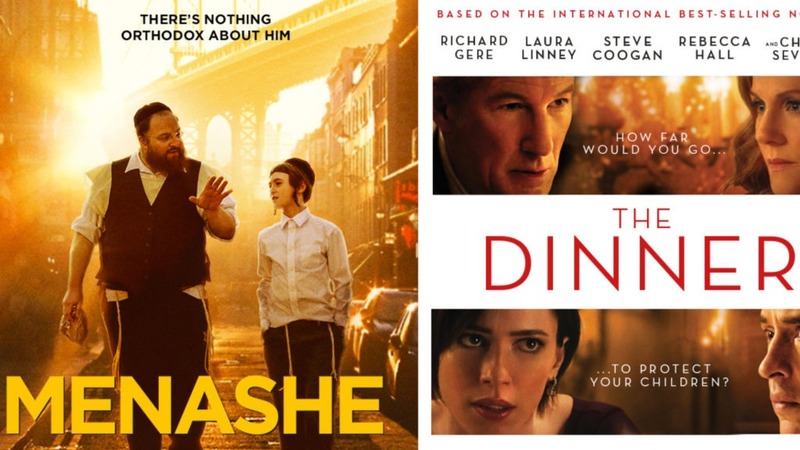 Two acclaimed drama films we released in December of last year are now available On Demand: The Dinner and Menashe. When Stan Lohman (Richard Gere), a popular congressman running for governor, invites his troubled younger brother Paul (Steve Coogan) and his wife Claire (Laura Linney) to join him and his wife Katelyn (Rebecca Hall) for dinner at one of the town’s most fashionable restaurants, the stage is set for a tense night. The Dinner is riveting story filled with many shocking twists and turns: a chilling parable about the savage reality hidden beneath the surface of middle class lives. Watch The Dinner on iTunes or Amazon. Menashe (Menashe Lustig) follows a kind, hapless grocery store clerk as he struggles to make ends meet and responsibly parent his young son, Rieven (Ruben Niborski). In the wake of his wife’s death, tradition prohibits Menashe from raising his son alone, so Rieven’s strict uncle adopts him, leaving Menashe heartbroken. Meanwhile, though Menashe seems to bungle every challenge in his path, his rabbi grants him one special week with Rieven before his wife’s memorial and a chance to prove himself a suitable man of faith and fatherhood.